A young woman goes missing while backpacking in Thailand. She is never seen again. Her bones are discovered 6000 miles away in an English field and, within hours, the boyfriend who reported her disappearance all those years ago is dead. Grab yourself a stiff drink, settle yourself down, and prepare for a dark and twisty read that is one hell of a journey…. If Amazon and Skynet were to have a love child, call him 1984 and then move to Stepford…. When Selina’s elusive husband Jarrod, injured in the war and subject to violent mood swings, comes back on the scene, Kate begins to imagine something far deadlier at play, and wonders just who will be next to pay the ultimate price for fame . . . 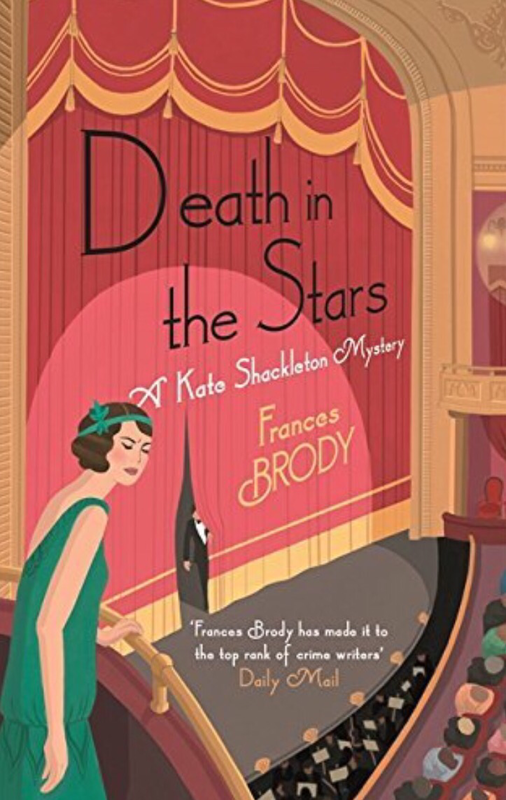 This may well be the ninth book in Francis Brody’s series featuring Kate Shackleton, but as I have discovered with both Death In The Stars and indeed with each of the previously delightfully written Shackleton mysteries I have read, this is no barrier to picking up this book to read as someone new to the series. Suspenseful, and living every bit up to the description of ‘mystery’, it keeps you guessing all the way between clues, red herrings, characters complicit in the story and those included to misguide you along the way. With a background that clearly creates the atmosphere of this twenties tale, this charming read is a great way to while away a pleasant few hours.